All nylon products are designed for the comfort of the pet. There are no sharp edges on the nylon and all adjustment pieces are metal so there is no chance of unintentional adjustment. 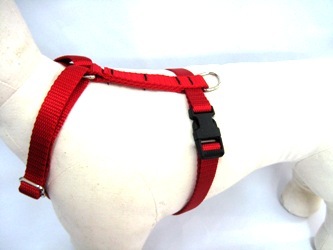 All plastic side-release buckles are durable, long lasting plastic and are appropriate for everyday wear and walking the pet. 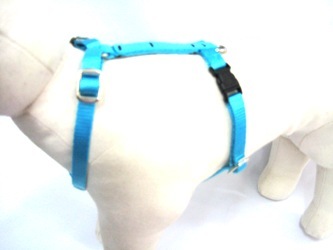 The body strap fits at least 1” behind the front legs so that there is no rubbing on the pet.